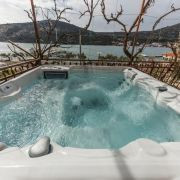 We offer apartments 4+1 (50m2) with large terrace, two bedrooms, kitchen, bathroom and sea view. Distance to the … More » beach is 350m. 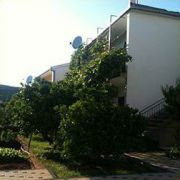 Each apartment is equipped with AC and TV with SAT. We are looking to see you. 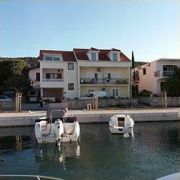 Apartments are situated in village Poljica, near Trogir. They are on south part of house, with sea-view, surrounded … More » by greenery. Large garden with place for sunning and children playground. Beach with equipment is only 50m far. 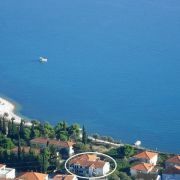 The villa is situated in a beautiful bay, only 200m from the sea. 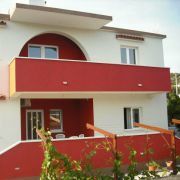 It consists to 4 modern apartments, independent … More » house, equipped garden and large parking place. If you want to spend your holiday by the clean sea and nature, come to us. 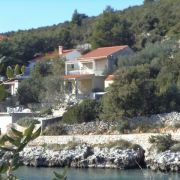 The distance to Trogir and Primosten is 20km. 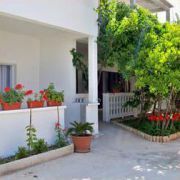 The apartments are situated in a quiet location, just several minutes from the beach, surrounded by greenery. 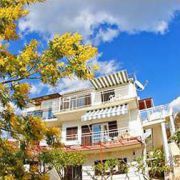 Apartments … More » / 1/2/3 / - one bedroom with double bed (2,00x1,60m) + sofa bed (1,40x1,60), mini kitchen, bathroom with shower and veranda with garden furniture. 3 apartments with 3 *** category. 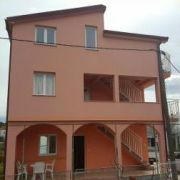 One studio-apartment for 2 persons and 2 apartments for 4 persons. 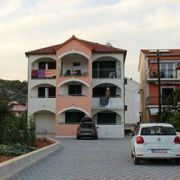 Apartments … More » are situated 10m from the sea and have their own parking. 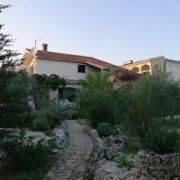 House with six apartments of various sizes is situated directly on the sea coast. An oasis of peace and quiet, … More » perfect for your vacation. Die Appatements befinden sich in einem ruhigen Familienferienort, nur ein paar minuten vom Strand entfernt. A1 … More » 2+2, A2 4+2, A3 4+2, in jedem Appartement gibt es noch die moeglichkeit von Zubettungen. Alle Appartements haben grosse Terrassen mit einem Blick auf den Garten, Sat TV und Internet. A1 4+2 on the 1st floor has 2 bedrooms, living room, kitchen, shower and balcony. A2 2+2 on the 1st floor has 1 … More » bedroom, living room, kitchen, shower and balcony. A3 4+2 on the ground floor has 2 bedrooms, living room, kitchen, shower and balcony. All apartments have AC. 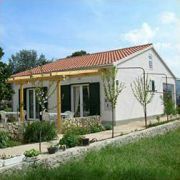 Apartments Mate are situated in village Vinišće, 20m from the sea. The house offers 5 apartments and 8 parking … More » places. 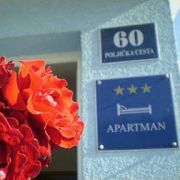 Apartments: apartment (4+1), apartment (7), apartment (5), apartment (2+2), apartment (2+2). Guests can use grill, sunbeds and boat for trips to islands. Two spacious apartments (2 bedrooms + living room with kitchen), each for 6 persons. Each apartment has its own … More » entrance, only one apartment per floor. Both apartments have a large terrace on the south side. Parking for 4 cars. 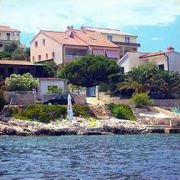 Direct access to the sea (30m), without crossing a road. 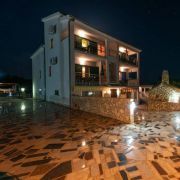 Mikulic Apartments are situated on the eastern side of the peninsula Sevid the Mala Ostrica, 20 meters from the … More » sea, overlooking the sea, surrounding islands, and a garden full of greenery. 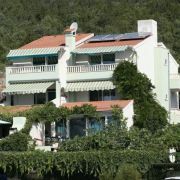 The apartments have a 4 star hotel that can be called true luxury villa holiday.